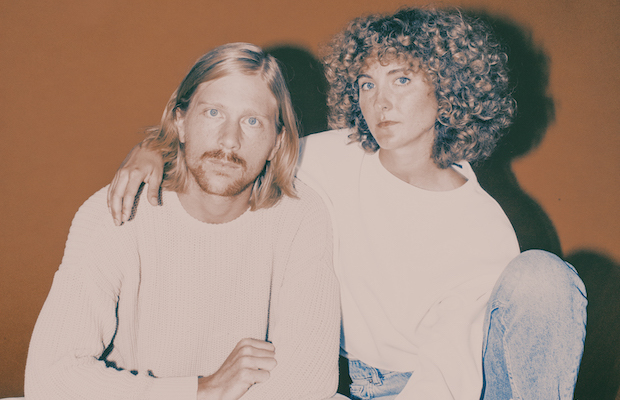 Out in support of their gorgeous, retro new album Yours Conditionally, Denver based, married indie pop duo Tennis return to Nashville tonight, Aug. 7 to headline The Basement East, with support from exciting, rising local pop duo Airpark (ex-Apache Relay). Always a treat to see live, we’re incredibly excited too see Tennis reproduce their latest work live, and doubly so to see them on the east side. Tickets are still available right here, so grab yours now and read on for more about the lineup! Husband-wife duo Tennis sprung to acclaim with their 2011 debut, Cape Dory, written on and inspired by an eight month sailing expedition on the Eastern Atlantic Seaboard, which they embarked on shortly after graduating college (where they met). Six years, three full-lengths and a few EPs later, and their latest, Yours Conditionally, brings the group full circle, crafted during a four-month sailing excursion in the Pacific, self-produced, and released through their own label, Mutually Detrimental. Based in Denver, the band combine a knack for crafting dreamy, lo-fi indie pop with a retro, ’70s-laced pop and soul, creating a timeless effect and hypnotic sound, propelled by singer Alaina Moore’s gorgeous voice. Beloved by critics, the duo have appeared at festivals like Coachella and Forecastle, on late night programs such as Conan, Letterman, and Leno, and on stage with the likes of Haim, The Shins, and Spoon, among others. A remarkable, unique, and profile band, they’re a must-know fixture in the indie scene, and their Basement East debut is sure to be one of the summer’s best shows. Formed in 2016, a year after the premature demise of their prior project The Apache Reply, Nashville’s own Airpark, made up New Orleans raised brothers Michael Ford, Jr. and Ben Ford, released their debut EP, Early Works, Vol. 1, earlier this year, and are steadily becoming a new local project you should be keeping an eye on. A contrast to Apache’s big, layered, folk-informed sound, Airpark take a minimalist, deconstructed approach to indie pop, with melodic and groove heavy arrangements and no shortage of big, engaging hooks. We’ve been very impressed by everything they’ve done so far, and encourage you to show up early to see them in action; a perfect compliment to Tennis! Tennis and Airpark will perform tonight, Aug. 7 at The Basement East. The show is 18+, begins at 8 p.m. (doors at 7 p.m.), and tickets are available to purchase for $15.